Forget Google Glass and that Fitbit you used to wear; the ultimate in wearable computing isn't worn on your body, but embedded within it. With chips physically inserted into your body either attached to nerves or placed into muscles or skin, a new form of synergy between human and computer can occur. How do injected electronics work? For now, implants are explicitly for the delivery of medical services. 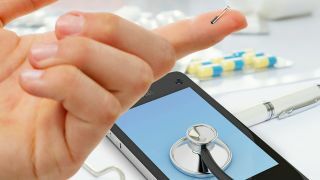 "Once the ability to control and communicate with an implanted or injected device is achieved, a number of services can be delivered such as real-time tracking of tumour growth or localised and controlled delivery of drugs," says Vaishali Kamat, head of digital health at Cambridge Consultants, who thinks the future is one of miniaturised, injected implants providing targeted nerve stimulation. This is called neuro-modulation. Equip the body with any smart physiological monitoring device and the emergency services could be called automatically if someone is about to have a heart attack, for example. "Neuro-stimulation therapy could be delivered in response to an imminent epileptic seizure, or increased Parkinson's tremors," adds Kamat. By going straight to the nerve, it's possible that identifying neural pathways could mean treatment for conditions like depression and obesity. Could future iterations of smartbands like Jawbone UP be embedded? What about Bluetooth for the body and control by apps? "Yes, it is possible to implant wireless transmitters in the body and get a signal to and from them via an external device," says Kamat. "Traditionally this has been achieved via a dedicated external medical device – as has been the case in traditional implants, like pacemakers – but more recently, there has been interest in using a smartphone for this purpose." Trouble is, that requires implanting a device in the body equipped with some kind of wireless protocol, the most obvious being Bluetooth. "Getting a Bluetooth signal out of the body is not a simple task, given that the body absorbs most of the 2.4GHz signal," says Kamat. "However, we are doing work in this space and have developed some proprietary technology that makes this feasible."